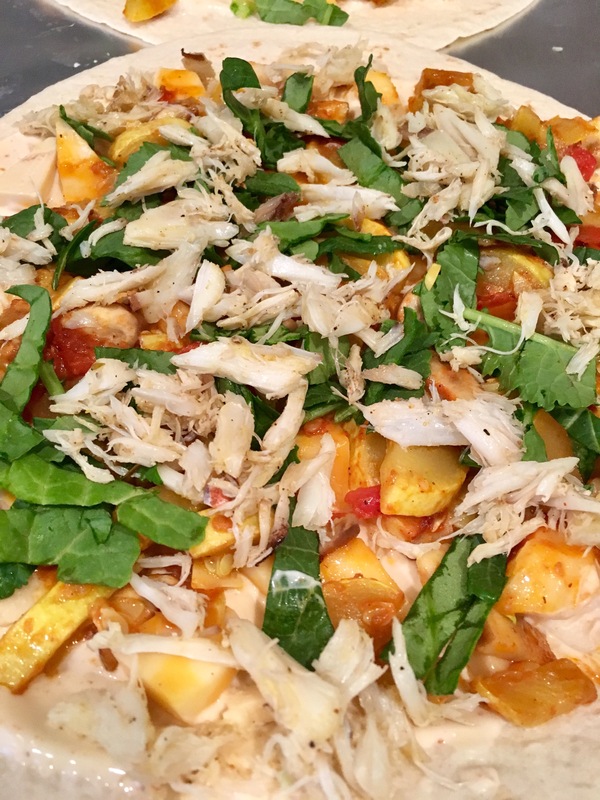 Maryland Crabs and Crab Pizza! – Eat, Drink, and Go! 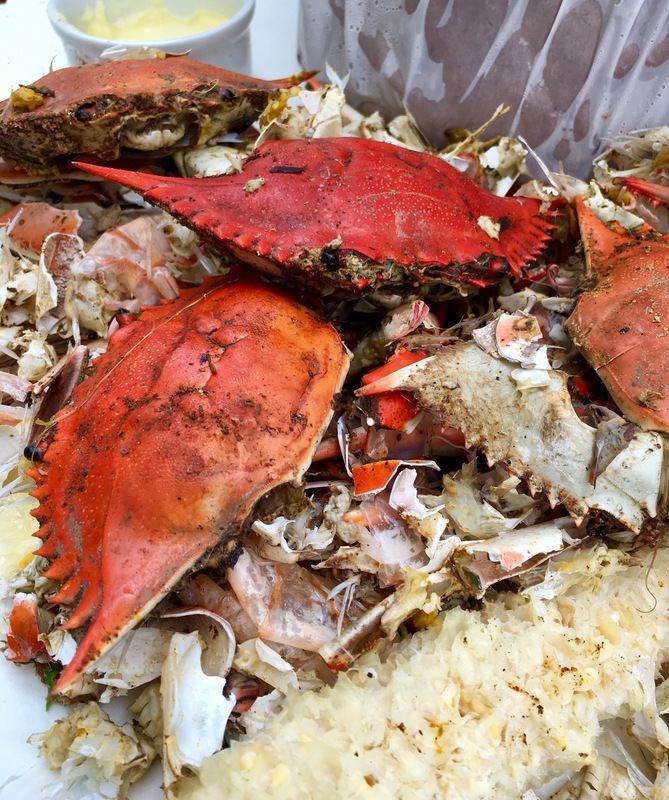 This year for Mother’s Day, we brought in some home town Maryland steamed crabs. The line was long, but the wait was worth it!! 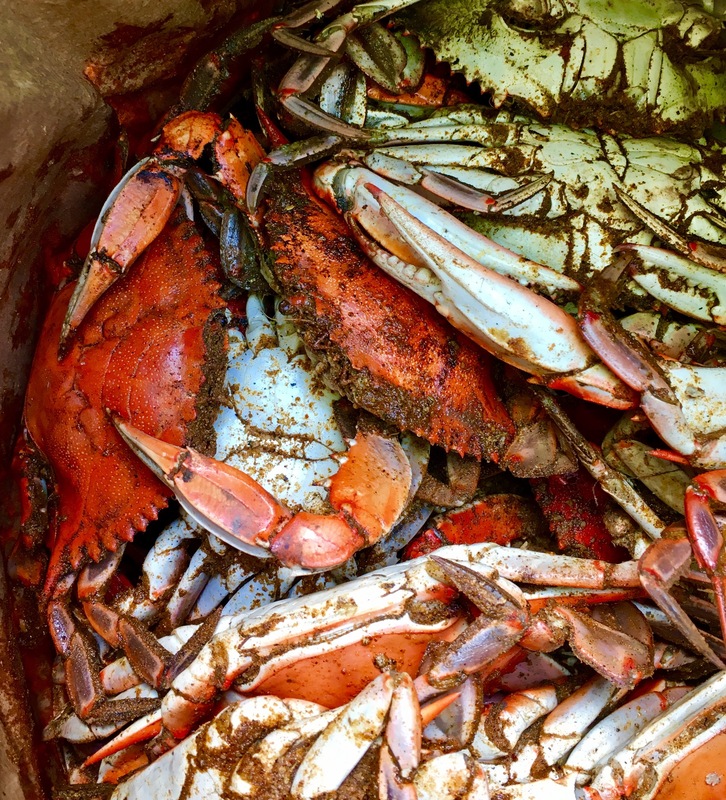 Who knew so many people would want crabs for Mother’s Day? They were delicious. 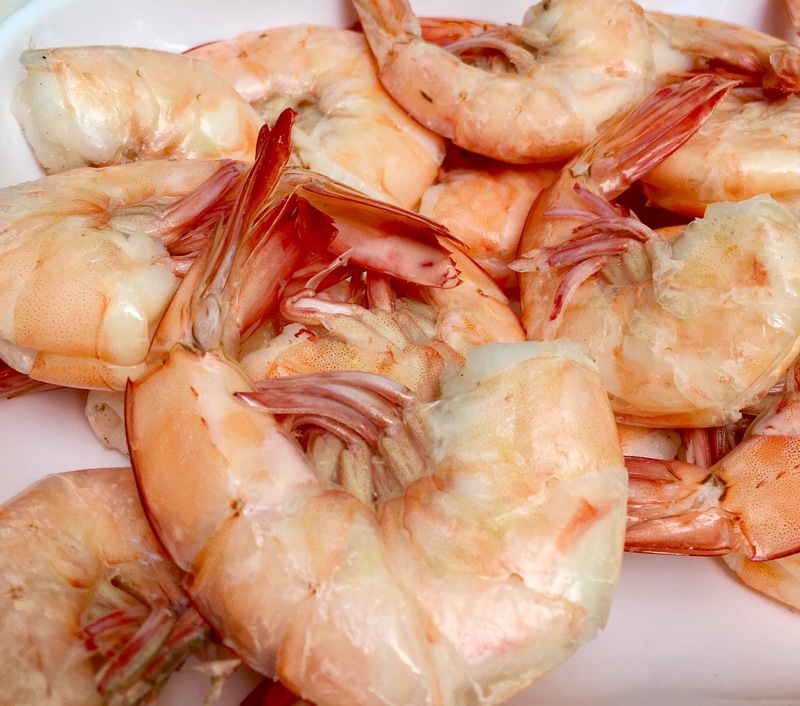 We made some steamed shrimp and corn on the side and got fancy with Prosecco instead of beer to go along. I could – and did – sit and pick for hours. I think it’s a Maryland thing. 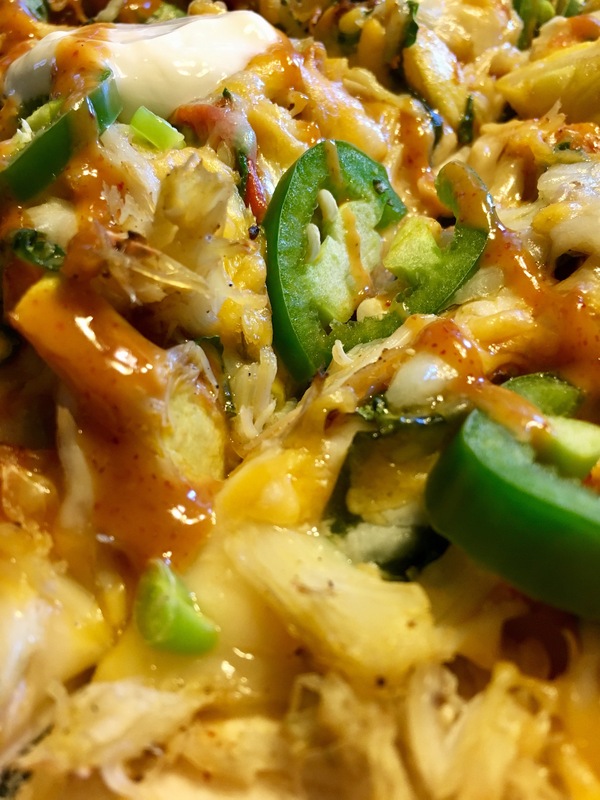 Once we ate all we could, we picked the rest to see how much leftover crab meat we could come up with for other crabby delights! I had enough crab meat for two portions of something. Crab cakes were the obvious choice, but I went another way. 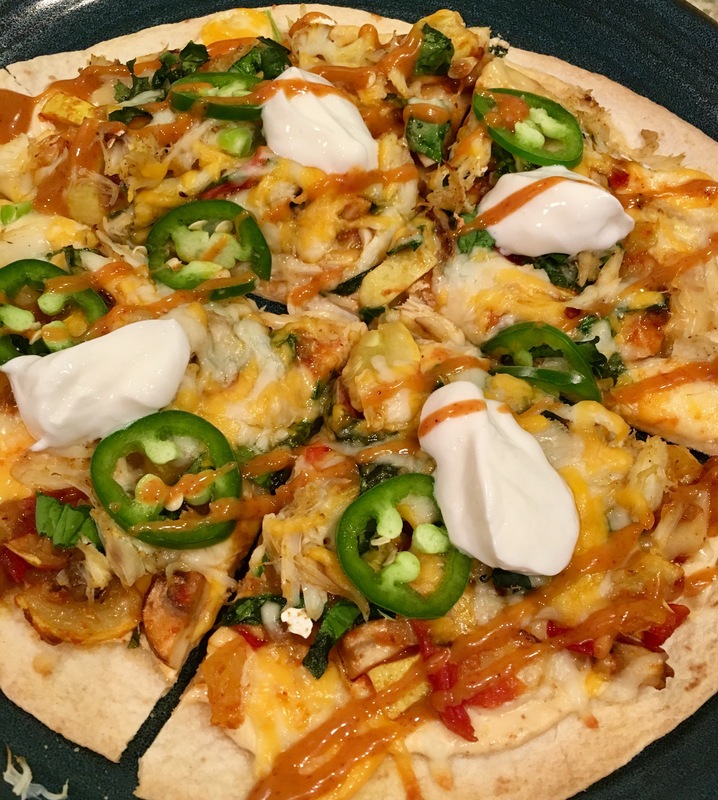 I was still feeling a little Mexy from Cinco de Mayo I suppose, and went with a Mexican crab and veggie pizza. 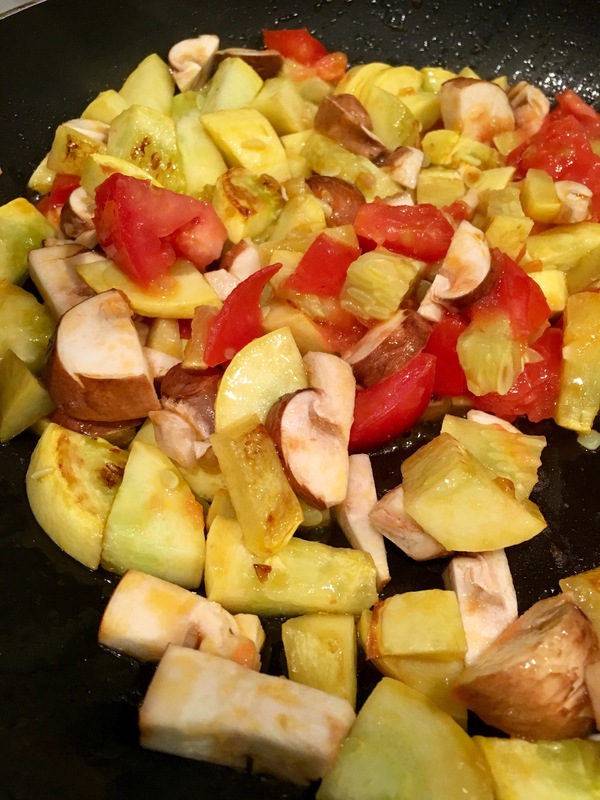 I sautéed up some yellow squash, tomato, and mushroom in a little chili infused olive oil. 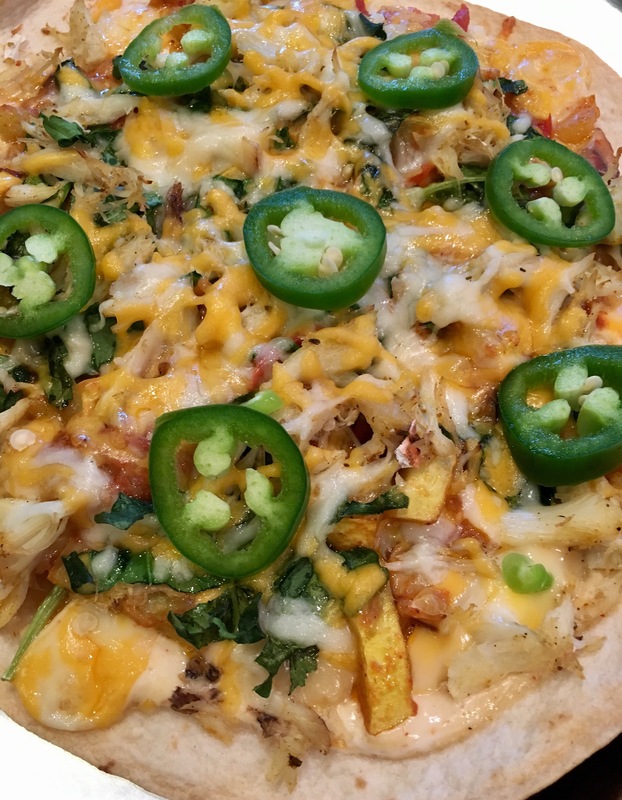 Spread some plain Greek yogurt mixed with a spicy chipotle sauce on a tortilla as the base, then piled on the veggies, some Colby jack cheese, chopped spinach and baby kale, and topped with the crab meat and a little more cheese. I baked til things got gooey and the tortilla was crisped up. Tossed a few slices of jalapeño on there in the meantime. I dolloped on some more plain Greek yogurt (this is a great sour cream sub) and drizzled some more of the chipotle sauce. Yum!!!! I also squeezed some fresh lime on top. 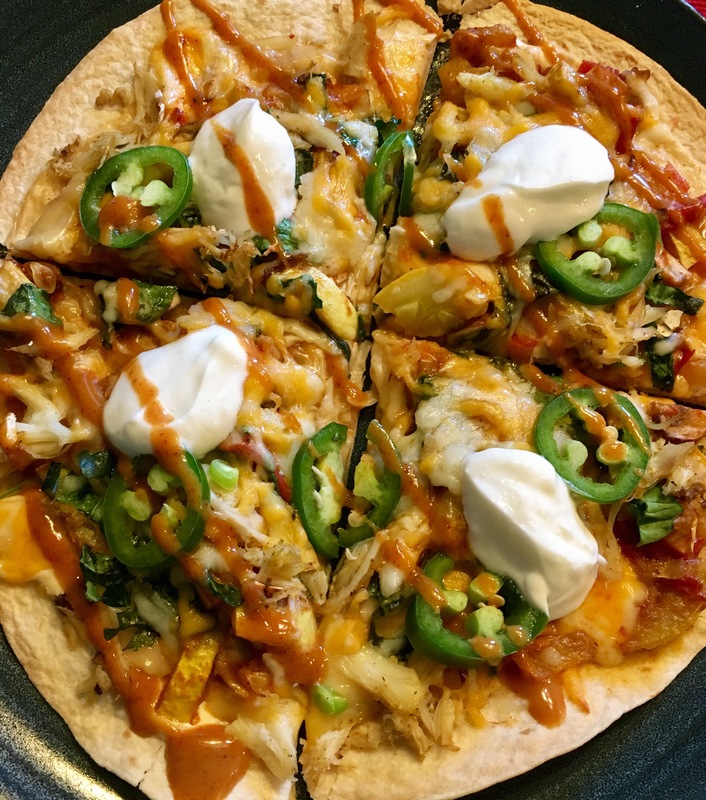 Mexican crab pizza. I was quite please and paired it with Corona.